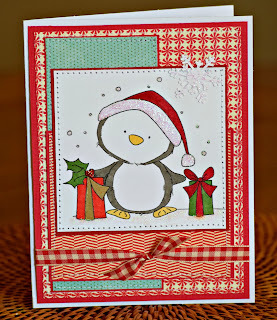 Love me this penguin from Digi Stamp Boutique! Isn't he adorable? I colored him up with copics and added some stickles to his hat and under his feet for snow. The paper is from My Minds Eye. Too, too sweet. What an adorable digi. 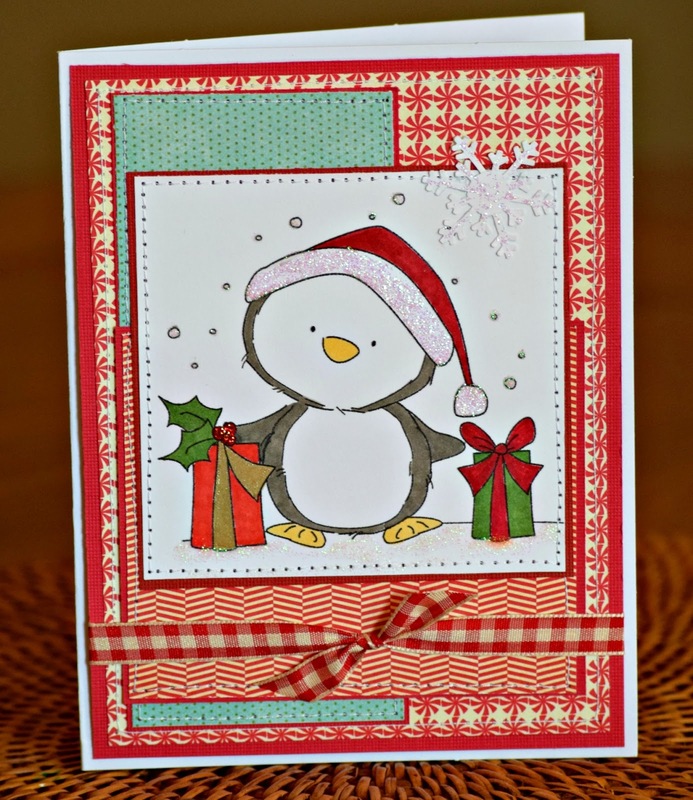 Thank you for playing along with our Christmas Challenge at Crafty Friends. Good luck and hope to see you again next time. What a fun mix of patterns to go with this cutie, Stephanie! Thanks for joining us at the Simon Says Stamp Wednesday challenge!